Need a little help with your moving out cleaning services? We’ve all been there… It’s almost time to be move out of your home, but you feel a little rushed and don’t have time to clean! Moving is a hassle in itself, so leave the cleaning to us. Whether you are trying to run down your landlords’ checklist to get your security deposit back or getting your home ready for resale – Maids 2 Match has you covered! What is Included in a Move Out Cleaning Service? A move out cleaning typically takes a little bit of extra time because we make sure to get those hard to reach areas that need some extra attention. Then rather than bundling add-on’s together such as: inside the oven, inside the fridge, inside the window etc. – we let you customize your cleaning to your exact needs. You can simply add the extra services YOU need and forget about the ones you don’t! We do ask that you have all of your belongings moved out prior to the cleaning to ensure we can clean everything to our standards. If for some reason you are unable to move everything out, we will clean around the furniture and boxes. However, this is never ideal because once you move those out… the areas will obviously not be satisfactory. 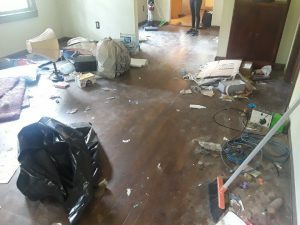 How Can I Book My Move Out Cleaning Dallas? You can simply book your cleaning online or give us a call directly at (214) 210-1114. If you do decide to book your cleaning online, just add move out cleaning, choose any add-on services and schedule a day and time that works for you! If you have any special requests, please let us know in the comment box and we will do our best to accommodate your needs.